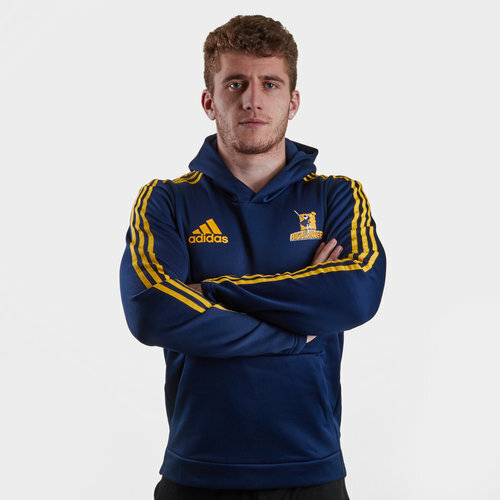 Show your passion and support for the Landers when you pull on this adidas Highlanders 2019 Hooded Rugby Sweat in Collegiate Navy. The Highlanders are a rugby union team from Dunedin who play their rugby in the Super Rugby league. In the 1998, 1999 and 2000 seasons they qualified for the semi-finals; hosting the 1999 competition final against fellow South Island team the Crusaders. They lost the match 24–19, and the following year were again knocked out by the Crusaders in their semi-final. In the following fifteen seasons, they only finished in the top four once more, in 2002. But in 2015, they were crowned Super Rugby champions after beating the Hurricanes at Westpac Stadium. 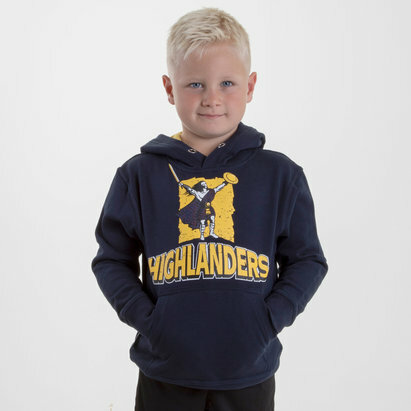 The name Highlanders was chosen after the early Scottish settlers in the lower South Island. These Scottish settlers were the founders of Dunedin—known as the "Edinburgh of the South", and the city where the Highlanders are based. According to the Highlanders official website: " The name and image of the Highlander conjures up visions of fierce independence, pride in one's roots, loyalty, strength, kinship, honesty, and hard work." The colours of the Highlanders formerly encompassed the provincial colours of North Otago, Otago, and Southland; yellow, blue and maroon. Blue is also the predominant colour of the Flag of Scotland. 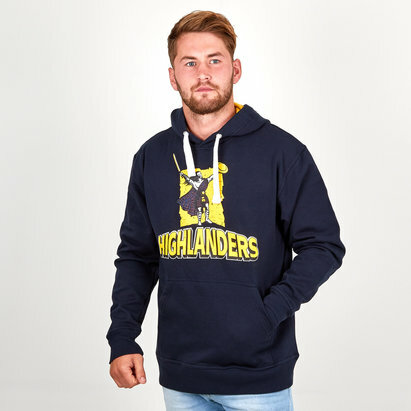 adidas are the Highlanders kit suppliers with this rugby-inspired hooded sweat paying tribute to the successful side. This sweat has been made from soft French terry fabric and comes in a regular fit making it wider at the body. This hoody comes in navy with the adidas classic 3 stripe motif in yellow down the arms, using their traditional colours. The adidas logo is on the right whilst the club badge is on the left. The team's sponsor - pulse energy - is printed on the back.